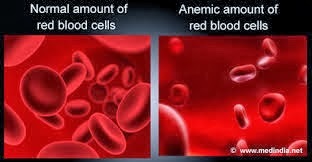 There are many types of anemia. All are very different in their causes and treatments. 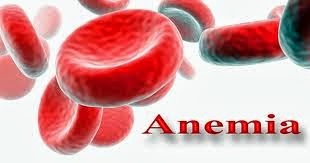 Iron-deficiency anemia, the most common type, is very treatable with diet changes and iron supplements. Some forms of anemia -- like the anemia that develops during pregnancy -- are even considered normal. However, some types of anemia may present lifelong health problems. Can inadequate iron cause anemia? Absolutely! As a matter of fact, iron deficiency is a very common cause of anemia. This is because iron is major component of hemoglobin and essential for its proper function. Chronic blood loss due to any reason is the main cause of low iron level in the body as it depletes the body's iron stores to compensate for the ongoing loss of iron. Anemia that is due to low iron levels is called iron deficiency anemia. Another common reason for iron deficiency anemia can be due to recurring or small ongoing bleeding, for instance from colon cancer or from stomach ulcers. Stomach ulcer bleeding may be induced by medications, even very common over-the-counter drugs such as aspirin and ibuprofen (Advil, Motrin). Slow and chronic oozing from these ulcers can lead to loss of iron. Gradually, this could result in anemia. In infants and young children, iron deficiency anemia is most often due to a diet lacking iron. What are other causes of anemia? For example, cancers that spread (metastasize) to the bone marrow, or cancers of the bone marrow (such as leukemia or multiple myeloma) can cause the bone marrow to inadequately produce red blood cells, resulting in anemia. Finally, patients with kidney failure may lack the hormone necessary to stimulate normal red blood cell production by the bone marrow. 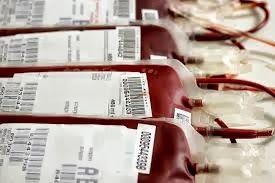 It is worth noting that if anemia is longstanding (chronic anemia), the body may adjust to low oxygen levels and the individual may not feel different unless the anemia becomes severe. On the other hand, if the anemia occurs rapidly (acute anemia), the patient may experience significant symptoms relatively quickly. The evaluation will include tests for iron deficiency and blood loss in the stool to be certain there are no other reasons for the anemia. The treatment of the anemia varies greatly. First, the underlying cause of the anemia should be identified and corrected. For example, anemia as a result of blood loss from a stomach ulcer should begin with medications to heal the ulcer. Likewise, surgery is often necessary to remove a colon cancer that is causing chronic blood loss and anemia. Without adequate iron, the body is unable to produce normal red blood cells. In young women, iron deficiency anemia can result from heavy menstrual bleeding. Non-menstruating women or men who develop iron deficiency need to have a colon exam (colonoscopy or barium enema) to help identify the source of chronic bleeding.